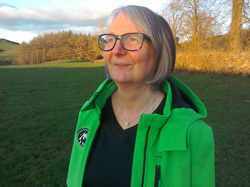 Space is a topic that children (and grownups!) love. You can make a scale model of the solar system in your playground. Look at the relative sizes of the Earth, moon and sun. See what makes a day, month and year different and find out about seasons too. The moon is important to life on our planet and it always has the same size towards us however it does not look the same every night, why not? 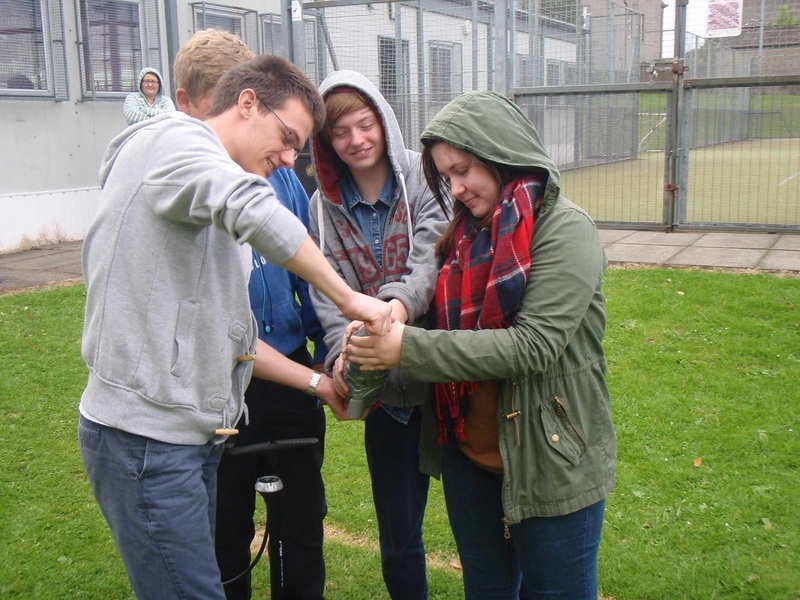 ​​There are lots of different rockets that you can experiment with during the Rocket Lab. 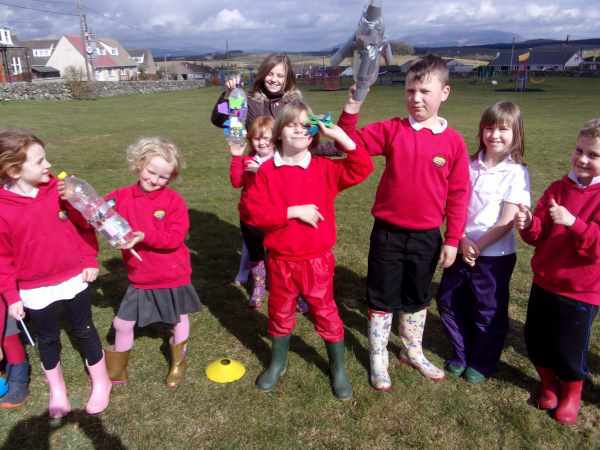 Depending on the time and age of the participants I can use straw rockets, popping rockets, elastic band rockets, balloon rockets plus the ever popular and high flying lemonade bottle rockets. As you can see from the video it is not just the kids that have fun with the rockets. All the rockets are all fun and you have to investigate how we can create force to get them to fly. Discussions centre around gravity and how there are people in space on the International Space Station (ISS) and how astronauts flew to and walked on the moon. I sometimes combine this with moon watching or spotting the ISS as it passes overhead. 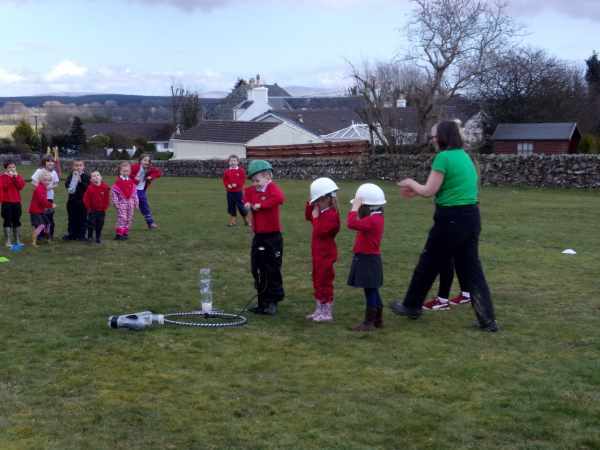 On Monday 26th March at Kirkcowan Park, P1-4 were doing exciting Space experiments. First we looked at what the moon was made of and got to throw stones into to some moondust to see why there were craters on the Moon. We then pretended to be the sun by making an enormous circle of children fifteen steps from the centre. This helped us realise how big the sun was compared to the Earth which was only the size of a ball! Next we made little straw rockets that we blew through to make them fly into the air. After that, we got mixed baking soda and vinegar which made a chemical reaction adn the container it was in shot up into the air! Finally Kerin and I designed a space rocket made from a platic bottle. We put water in it and pumped it full of air and then it blasted off into space! Our favourite part of the day was when the baking soda and vinegar exploded, and making the Sun out of children!